If you are looking for something fun to do this summer, check out Oklahoma City’s Riversport Adventures. 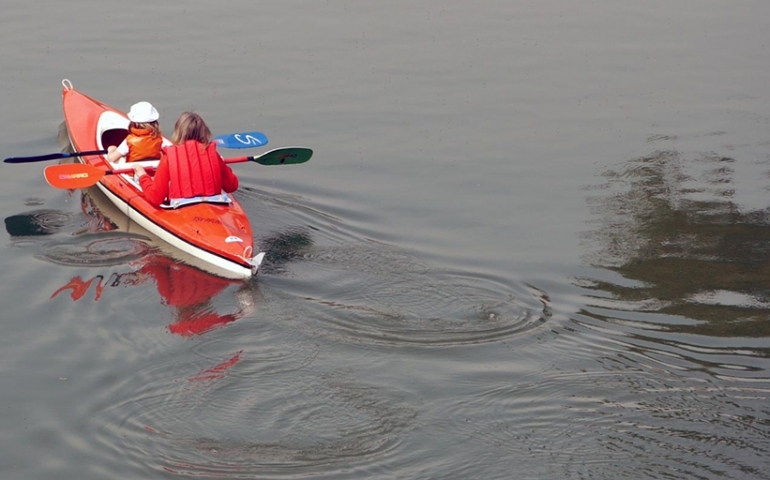 You can find these adventures at Lake Overholser, Lake Hefner or Downtown. Each location offers a variety of exciting outdoor activities. At the Downtown location, one can find whitewater rafting, kayaking, tubing, adventure courses, zip-lines, extreme jumping and many other fun adventures. Lake Overholser offers zip-lines, a stunt jump, an extreme swing and kayaking while Lake Hefner is mainly used for camps or sailing lessons. A Riversport day pass costs $49, but SNU students who have Crimson Cards receive 10 percent off of this price. Season passes, family passes and youth passes are also available to give customers better deals for the whole summer. You can purchase these online or at the park, but make sure to book your trips early. The parks get busy and sell out quickly on beautiful days. The Downtown location puts on many events and festivals during the summer with live music and races. The most popular event happening this year is the sixth-annual Stars and Stripes River Festival on June 24. This Fourth of July themed event includes food trucks, whitewater rafting, racing and is estimated to bring out over 20,000 people. Events happen quite often during the summer, but guests are welcomed anytime. Starting on March 11, Riversport Adventures will be open every weekend and every day of Spring Break (13-17) as a special circumstance. May 13 will be the official opening day of the summer season, and their Adventure and Rapids hours will be from 11 a.m. to 6 p.m.
“I’ve been to the downtown location once before! The facilities are super nice and they offer a lot of fun things to do. I would highly recommend checking it out!” SNU Student Sara Campbell said. For more information on the events, hours or how to book your trip, call (405) 552-4040.